What is Windows Remote Desktop? A remote desktop refers to an individual software application or feature of the Windows operating system that allows a user to interact with another remote computer as if it were local. 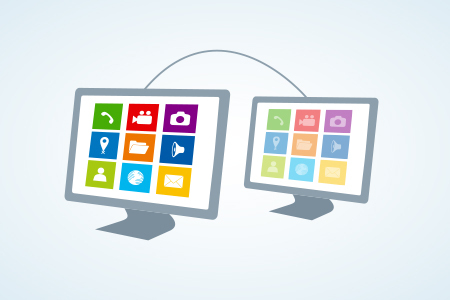 Remote desktop works via the internet or through another network from a different location. Using remote desktop software, you can interact with any system (even from different locations) via the internet; as if you were physically interacting with them. How To Use Windows Remote Desktop? Using this Windows Remote Desktop Connection program, one can connect with another computer and control it from their computer, remotely on their local network or even over the internet. If you are using a Mac computer, but still need to connect with a Windows computer for occasional tasks, then you can setup remote desktop for your Mac. A remote desktop connection is a good option to access the programs on a Windows computer using your Mac Here's how to set up and use the connection. Go to the Mac App store and download Microsoft Remote Desktop connection program. Microsoft Remote Desktop connection program allows you to connect to a Windows desktop of your choice remotely and will enable you to access local files, applications, and network resources. After installing the Microsoft Remote Desktop connection program, open it and configure the connection settings as per your need. Enter the details such as connection name, username, and password to connect with the Windows machine of your choice. The Windows remote desktop for Android allows organizations to share files, access other mobile devices on their network and collaborate with ease from virtually anywhere. Windows remote desktop for Android is primarily used by employees of large corporates who telecommute and work independently from remote access. Windows remote desktop for Android can also help IT support teams to monitor and manage the devices in their network remotely. How To Setup Windows Remote Desktop Software? To launch the Remote Desktop Connection program, go to the Start Menu and search for the Windows Accessories folder. In that Windows Accessories folder, click on the Remote Desktop Connection program to open it. Alternatively, you can also use Cortana’s search box to launch the Remote Desktop Connection program. In the Cortana’s search box, type the word “remote” and click the Remote Desktop Connection program to open it. Using the Remote Desktop Connection program is simple. In the text field, enter the full name of the computer to which you want to connect, and then click on the Connect button. If you are not sure what the other computer name is, you can also connect using the host's local IP address. After entering the computer name, enter the user credentials that you want to use to sign in on the remote Windows computer. After connecting, you should see the remote computer in a window of its own. To provide the keyboard and mouse focus to the remote computer, click on the window or make it full screen. One of the major challenges faced by almost all organizations is finding the best way to facilitate secure and stable computer systems for their executives on the go. Due to the adoption of BYOD (Bring your own device) policies, more and more employees want to access their work files and apps. This is where the remote desktop software can help; employees can access their work files and apps through the remote desktop software. For organizations, the remote desktop software can be a great boon as it helps them remotely manage and secure their corporate-liable mobile devices and other endpoints by enforcing encryption, security policies, complementary applications, and predefined actions. With good remote desktop software, organizations don't have to worry about security issues such as lack of encryption, poor data storage, unauthorized access or data leakage during the data transmission. With the right Remote desktop access software, you can easily keep tabs on your clients' IT environments and also track devices, network health, ensure uptime and more. 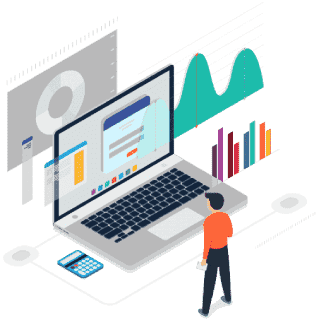 If you are looking for an excellent Remote desktop access software, choose ITarianRemote Monitoring and Management (RMM). It is offered for free as a part of ITarian IT Service Management suite. ITarianRMM will give you complete visibility and control through a single dashboard, and it is available for free!